Start by heating the heavy cream until it reaches a boiling temperature then use it to infuse the earlgrey tea for at least 15 min . In a bowl , mix the egg and sugar until it turns to a light yellow color then add the melted butter and continue mixing . Add the infused heavy cream . Gradually add the sifted dry ingredients and keep mixing until it is fully incorepated . 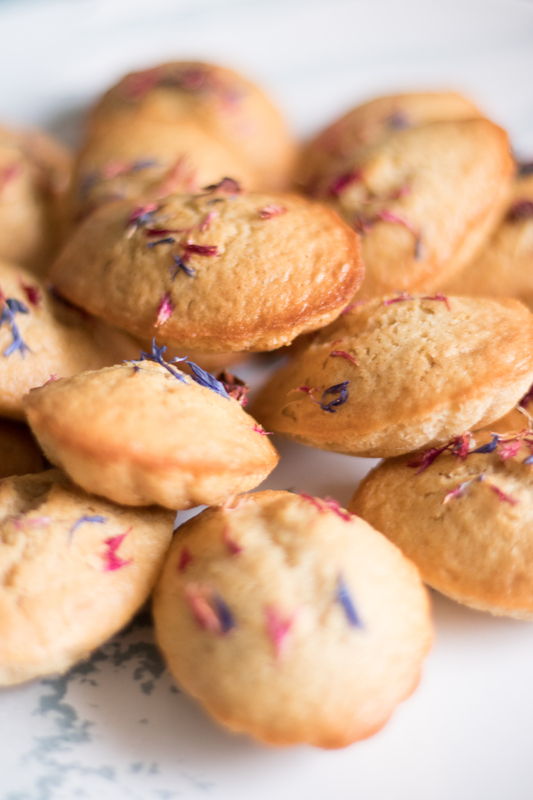 Fold in some of the dried petals and sprinkle the rest on top before baking. In a 190 C preheated oven , bake your madeleines in a madeleine tray and don't forget to fill only 2/3 of it .